Rampage (film, 2018). A 2018 American science fiction monster film with "PG-13" rating by Warner Bros. Pictures. Directed by Brad Peyton. Official Trailer. 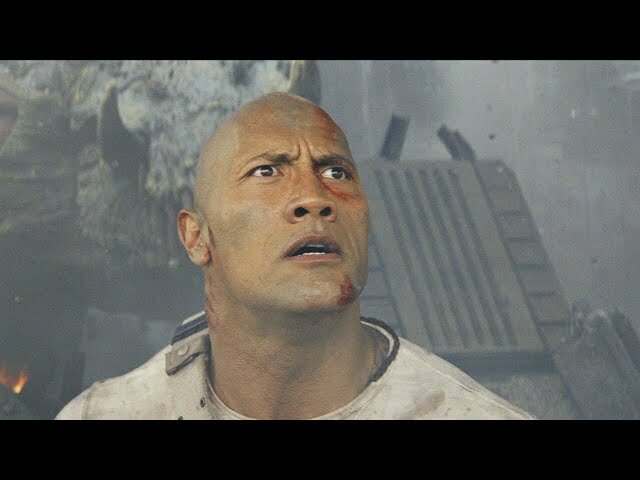 Rampage is a 2018 American science fiction monster film directed by Brad Peyton. 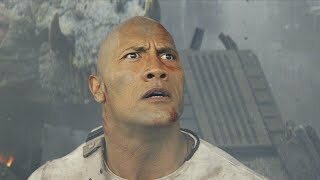 RAMPAGE - OFFICIAL TRAILER 2 . Athena-1, a space station owned by gene manipulation company Energyne, is destroyed after a laboratory rat mutates and wreaks havoc. Dr. Kerry Atkins, the lone surviving crew member, is ordered by CEO Claire Wyden to retrieve research canisters containing a pathogen. Atkins is able to flee in the escape pod when the station implodes, but due to damage from the rat it disintegrates upon re-entry, killing her. The falling pieces leave a trail of debris across the United States, including the Everglades in Florida, where a canister is consumed by an American crocodile, and a forest in Wyoming, where a gray wolf is exposed to the pathogen. Primatologist Davis Okoye, a former US Army Special Forces soldier and member of an anti-poaching unit, works at the San Diego Wildlife Sanctuary. He has befriended a rare albino western lowland gorilla named George, having saved him from poachers, and communicates with George using sign language and hand gestures. At night, one of the canisters crash-lands in George's habitat, and George is exposed to the pathogen. George grows considerably larger and more aggressive over time. Davis is contacted by Dr. Kate Caldwell, a genetic engineer, who explains that the pathogen was developed by Energyne to rewrite genes on a massive scale. She had hoped to advance CRISPR research as a potential cure for diseases but discovered Energyne's plans to use it as a biological weapon. The company fired her and got her sent to prison for attempting to expose them. George escapes from captivity and goes on a rampage at the preserve. Davis calms him down, but George is captured by a government team led by Agent Harvey Russell and put on an airplane. Meanwhile, Claire and her brother, Brett, send a squad of mercenaries to capture the mutated wolf, Ralph, but they are all killed. Principal photography began on April 17, 2017, in Chicago, Illinois. The film Rampage was scheduled to be released by Warner Bros. Pictures on April 4, 2018 (Microsoft Theater), on April 11, 2018 (United Kingdom), on April 12, 2018 (Denmark), on April 13, 2018 (United States), on May 2, 2018 (France) and on May 10, 2018 (Germany). The duration of the film is 107 minutes. With a budget of $120 - 140 million, the film grossed over $428 million. Rampage got average rating from critics. But the audience likes the film. Audiences polled by CinemaScore gave the film an average grade of "A-" on a scale ranging from A+ to F.